Dreadlocks are nothing but hair that is matted. 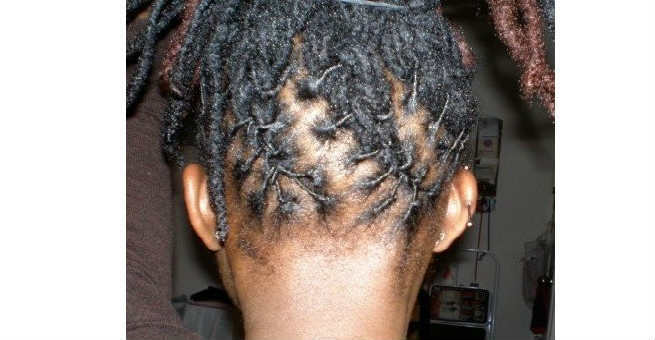 It can be achieved by backcombing or leaving the hair on its own and not combing or cleaning it can also cause dreadlocks. While the latter is an easy way to get them, it is most certainly avoidable since you want to keep your hair clean. So if you want to get dreadlocks, then a visit to the salon or showing some patience with backcombing and using dread wax at home is the way to go. Make sure to keep your hair clean and use a residue free shampoo. Once the dreadlocks are in place, there are so many hairstyles you can try. We show you here five really fab dreadlock hairstyles. To get this look, section your hair into multiple sections such that you can get two thick locks from each section which can be twisted together. Divide each section into two thick strands and twist them around each other until you reach halfway through your hair length. At this point, fold the two strands up and start wrapping the two strands around the twist that you previously created. When you reach the end of your hair length, you would have almost reached near your scalp, where you started. At this place, secure the loose ends of the strands to the twist with an elastic. Repeat for all the sections of hair. This method would need you to get yarn of your favorite color. Take 5 strings of yarn of the color of your choice. Now take 3 in your right hand and two in your left. Loop them at the center. The base of the loop is kept at the scalp. Take a section of hair and pull out a few strands from it and add them to the side with two strands of yarn. Now braid your hair – one section is only yarn, another section is only your hair and the third section is a mix of the yarn and your hair. Braiding is done 9 times. Now take 4 new strings of yarn and twist it around the braid. Make a knot when the yarn is exhausted. Continue with 4 more strings of yarn if you have more length to your hair. Make 5-6 knots at the bottom and cut extra yarn off.Repeat for all sections. Take a huge chunk of hair and separate it into 6 sections. Twist each section. Now combine the 6 sections in pairs such that you have 3 sections. Start braiding them into plaits. Secure at the end with a rubber band. Repeat for all other sections. This braiding is done from bottom up. The braids are then bunched up together into an updo. 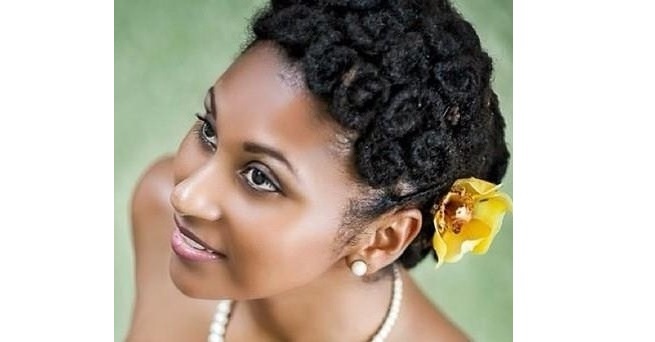 To do the bantu knot, take a section of your hair and do the two strand twist with it as mentioned above. Now when the two strand twist is done, roll it together near the scalp and make a knot out of it at the scalp, like a mini bun. Repeat this for all the sections. You have your bantu knot ready! This makes use of an accessory called the pipe cleaner which is a flexible stick. Bend it in the middle to make it look like a bobby pin. Now take two locks, twist then slightly and wrap them around the length of the pipe cleaner – starting from the hair at the ends and moving up to the scalp. Bend the end of the pipe cleaner around the wrapped hair, near the scalp to secure the hair. The U part of the looped pipe cleaner will be exposed.